This is the fifth story in a series exploring the current state of America’s preschools. BRISTOL, England — Any child in England who has turned 3 by Sept. 1 is guaranteed 15 hours a week of free child-care or preschool for 38 weeks a year, or 570 hours total, paid for by the national government. Apparently, so do most parents, 94 percent of whom take the government up on its offer of free education starting at age 3, according to government data. At age 4, 99 percent of children have started “reception,” the English version of kindergarten. Most 4-year-olds attend reception at their local primary school, but parents can choose to send their 3-year-old to a private center, a publicly funded nursery, a state-funded primary school or a home-based day care provider. Parents can also spread their 570 hours out over all 52 weeks of the year at centers with year-round enrollment options. Parents who need more coverage pay the difference between tuition and the amount covered by the government. 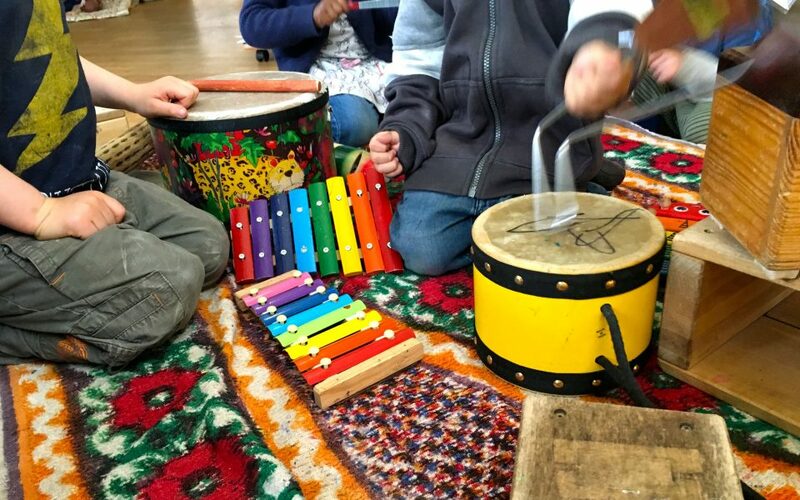 To better understand how this all plays out in real life, we spent one week in June visiting preschool programs in Bristol, a fairly typical British city of 449,000 in South West England. Like their counterparts across the country, Bristol’s 3-year-olds were forging new skills in a wide variety of settings and neighborhoods. 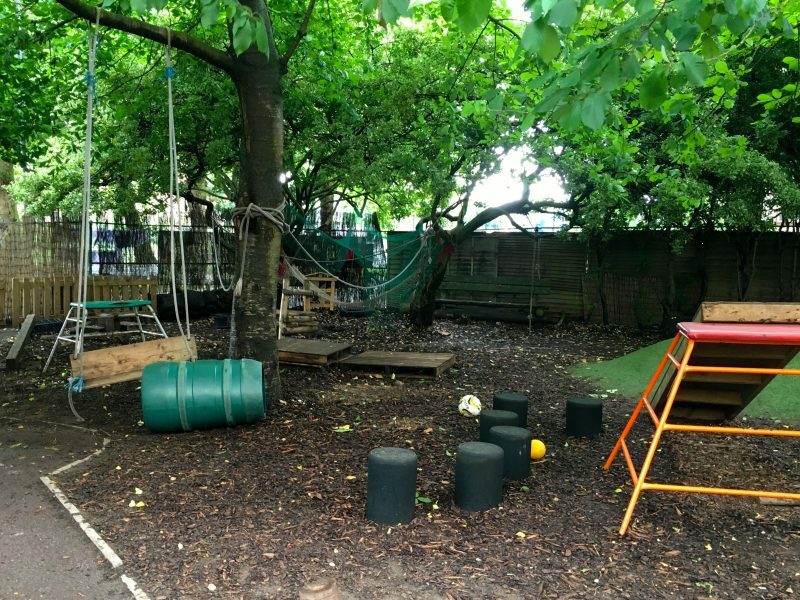 On Monday, a petite black girl in the play yard of the Redcliffe Nursery School, a publicly funded program located on the grounds of a housing project, twisted a big wooden swing hanging from a tree, then she let it go and watched it spin. 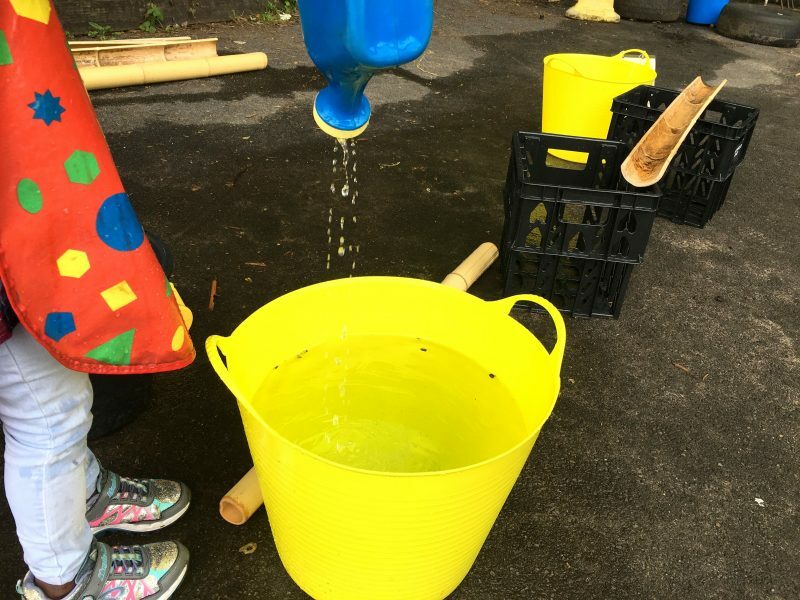 Redcliffe leaders, in the long tradition of English nursery leaders, believe children learn best when they are taking the lead and exploring the world on their own, complete with the risks that independence carries like, say, a bump on the head from a wooden swing. Nursery schools, which have a long history in England, have also been tapped to help improve the quality of care offered at all of the settings available to parents under the universal plan. 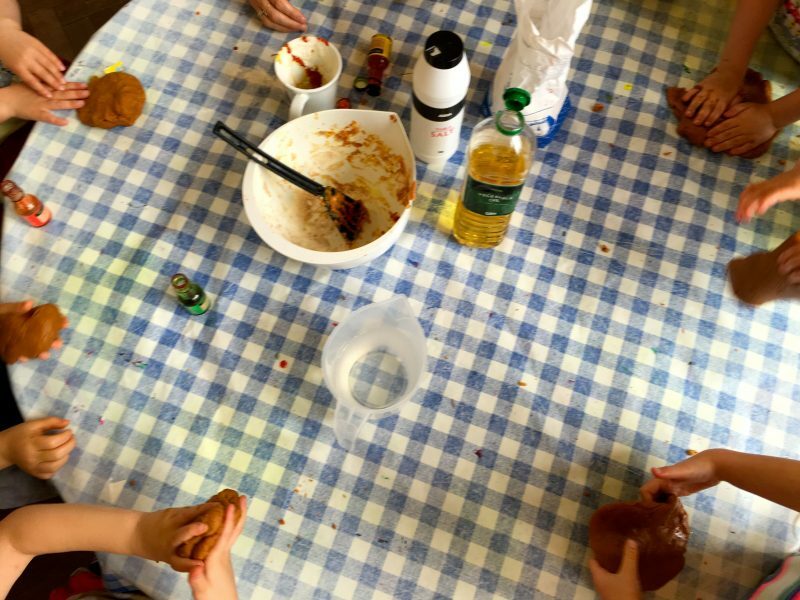 On Tuesday, in a rapidly gentrifying neighborhood of young professionals, a small group of 3- and 4-year-olds enrolled at the Southville Centre, a private, non-profit community center, made play-dough. They had made play-dough the previous week too, with their teacher’s instruction. This week, they re-concocted the recipe from memory while their teacher fetched requested ingredients and looked on. To the north that same afternoon, in one of Bristol’s oldest middle class neighborhoods, a mixed-age group of students at the private, for-profit center, The Red House Children’s Centre, cut slices of pear with plastic knives for their afternoon snack. Toddlers and children as old as 5 play together at the Red House, in what’s meant to be a more natural, family-like environment. Private centers have become increasingly common in England since the late-1980s when women began entering the workforce in growing numbers. On Wednesday, in a mostly working class neighborhood, way on the east end of town, a Polish boy selected a book from the kid-sized bookshelf in his classroom and brought it over to his teacher at Badock’s Wood Community Primary School. “This is a breakthrough, actually,” said veteran teacher Ellie Hurley, as the child snuggled to her side and she opened the front cover. The child does not speak English at home, she said. “He’s never brought a book to show me.” Hurley has been teaching nursery classes for 20 years at this state-funded school that we would call a public elementary school. 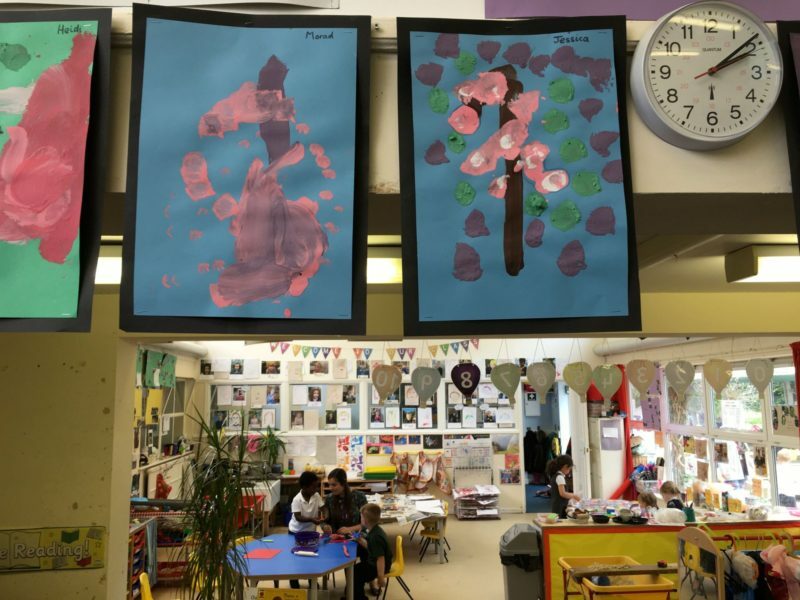 Of all the settings, this preschool looks most like public preschool classes in the U.S., with a more obvious focus on academic skills than the other Bristol programs. The reception class for 4-year-olds was housed in the next classroom down. Nothing observed in any of these schools is wildly different from what happens in American preschools every day, yet it is striking to consider that the parents of these children have paid either nothing, or only about half the cost of the program their child is attending. This is even more remarkable when contrasted with the economics of child care in the U.S.: An average American family with children under age 5 spends about 9 percent of its income on child care, according to the Center for American Progress, a liberal U.S. think tank. Families living in poverty with children under age 5 in care spend 36 percent of their income on preschool bills. In England, the country at large is instead investing in the education of young children right from the start. As a result, these children — from different families, different neighborhoods and different ethnic backgrounds — will reach the age at which most American children start kindergarten with at least a year and a half of state-funded education under their little belts. Leaders of government-funded preschool programs in the U.S. express a similar sentiment. The difference in England is that the British have taken a completely different approach to improving outcomes for poor children. They’ve made preschool available to everyone. The American strategy has long been to provide public preschool only for children from very low-income families. Both liberal and conservative thinkers on early childhood in the U.S. endorse this idea, saying a universal program is impractical politically. Some question whether the government would do any better at universal preschool than it does with universal K-12 education. Others argue that since poor children have the most to gain from preschool, they should be first in line for services. 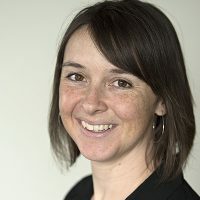 “In a world of limited resources, we have to set priorities and I think that the public in general feels that addressing children with the greatest needs makes sense as our first priority,” said Katharine Stevens, a resident scholar with a focus on early education at the American Enterprise Institute, a conservative think tank. No country can serve as is a perfect comparison to the U.S., which is much larger, more diverse and has a more diffuse system of national government than many OECD countries. Still, England shares many cultural and economic similarities, certainly more than the Scandinavian countries often cited as having ideal educational systems. And, as recently as the mid-1990s, the early education policies of the U.S. and the U.K. weren’t that different. Studies showing the importance of early childhood brain development and the potential of early education programs were also available in both countries. The study in question, called Effective Pre-school, Primary and Secondary Education (EPPSE), tracked 3,000 children from the mid-1990s through 2008. The government funded the study and made policy decisions based on its results. Melhuish explained this as if it were unremarkable; he viewed as commonplace a government’s decision to recognize new scientific information and change course accordingly. The types of academic and developmental gains observed in children in the EPPSE study are very similar to those observed in U.S. studies on the effects of preschool, although the gains seem to carry through as children continue to later grades with less fade-out than has been observed in the U.S., a finding Melhuish attributes to better primary schools. Another reason to offer universal preschool, Bristol’s Jaeckle said, is to preclude the possibility of a stigma attaching to free preschool. There can be no stigma, if everyone gets the same service, she pointed out. She thinks this makes it easier for the low-income families who need the service most to feel good about enrolling their children. That is not a concern commonly heard in the U.S. in regards to the uptake of government services. But mostly, both Jaeckle and Melhuish argue, it makes sense to offer a universal preschool program because it is the best way to ensure quality, something Head Start, our own federally funded public preschool program, has struggled with. And though it’s not a common position among lawmakers, some experts in the U.S. have reached the same conclusion: Universal access is the only way to ensure quality. Government data from England is bearing that notion out. By the time English children have finished reception, 66.3 percent of them have reached a “good level” of development. That includes measures of academic skills like reading, mathematics and writing as well as measures of non-cognitive skills like self-confidence, making relationships and being imaginative. The percentage of children achieving “good development” has increased year over year since the introduction of free preschool 12 years ago. Remember, the age of children attending their first year of primary school in England is younger than that of children attending their first year of elementary school in the U.S., so these gains accrue to English children before their American counterparts have even started kindergarten. Perhaps most spectacularly, the academic achievement gap between rich and poor—yes, there’s a gap in England, too—has been shrinking. The gap between children who were eligible for Free School Meals — an indicator of economic disadvantage similar to the Free and Reduced-Price Lunch program in the U.S. — and those who were not shrunk by two percentage points between 2009-10 and 2014-15. “They see this as part of the good policy for improving the educational capacities of the population and as a part of the infrastructure of economic development,” said Melhuish of the Conservatives. Still, there has been some discord. Preschool heads we met in Bristol were unsure what to think about the advent of the free 30 hours a week for 3-year-olds. Many were concerned about space and staffing and felt that the Conservative leaders championing this change were in it to push more young parents into the workforce and not to provide improved educational programs for their children. Others expressed concern that 30 hours a week would be too many for young children, though many, especially those with middle class professional parents, already attend preschool for at least that many hours. “I think politics are all about quick wins,” said Elizabeth Carruthers, head of Redcliffe Nursery and Children’s Centre and Teacher’s School, explaining her concerns about the new 30-hour provision. She saw the move to 30 free hours of preschool for working families as a politically expedient way to keep working mums voting Conservative. Carruthers and every other preschool director we spoke to also worried that the government was offering too little per child and wouldn’t to cover the cost of enrollment. And since the amount centers can charge full-time parents to make up the difference will shrink, providers could be expected to meet quality levels they’d no longer be able to afford. However, by mid-August the government had announced a larger reimbursement amount and Jaeckle said that most of the center directors in Bristol were more confident they’d be able to make ends meet under the revised plan. The government also agreed to continue funding nursery schools, like Redcliffe, separately as long as they continued their role in improving the quality of care offered in all of the free settings. These disagreements about the details feel far removed from the big-picture questions Americans are grappling with about who, if anyone, should get free preschool in the first place. And while the publicly funded programs in Bristol don’t appear to be throwing money around, many teachers here are paid on par with primary school teachers, inexpensive field trips are common and fresh food is cooked on site. It should be noted that public programs tend to have larger budgets to cover things like comparable teacher pay and that low pay is still a concern in the private sector. And yet, England and the rest of the U.K. countries have made rapid progress. The U.K. nations are among a handful of countries that have made a concentrated push to both expand and improve their early education systems in the last decade and a half, said Rowena Phair, project leader of the education and skills directorate at the Organization for Economic Cooperation and Development. Phair listed Japan, Poland, and Australia as examples of other countries that have expanded free preschool programs over the past decade. When it comes to preschool enrollment, “the U.S. is not one of the lead countries,” Phair explained politely. In fact, we ranked 35th among OECD countries for school enrollment for 3- to 5-year-olds in 2012. The following year, the OECD found that 53.7 percent of American 3- to 4-year-olds were enrolled in school. In the U.K. as a whole, that number was 96.3 percent. Nor are we tops in the percentage of women in the workplace. We ranked 19th among OECD countries on this measure, with 62.9 percent of women working in 2014; the United Kingdom ranked 12th with 67.2 percent of women working. Research has shown that at least a third of the difference in female labor force participation between the U.S. and other European countries is due to our family leave and early education policies. In England, several policies combine to lessen the financial burden on families as they try to make choices on how to cover child care. Mothers are offered nine months of at least partially paid maternity leave and three more months unpaid. Combined with the provisions for free child care, the length of time families have to pay for child care out of their own pockets before the government steps in to help is down to about two years. In the U.S., that length of time is closer to five years in most communities. The parents hurriedly dropping off their children at the Redcliffe Children’s Centre in Bristol last June didn’t have much time to chat with an American reporter about the state of preschool in their country. Has universal preschool helped them make ends meet? Encouraged them to keep their job? Advanced their child’s learning? Annoyed them in some way? “Sorry,” they said, “I’d love to talk but I’m off to work.” And with a hug, a kiss, a wave for their kid, they were out the door; just another day in a country with free preschool. Is Head Start a failure? What do preschool teachers need to do a better job?